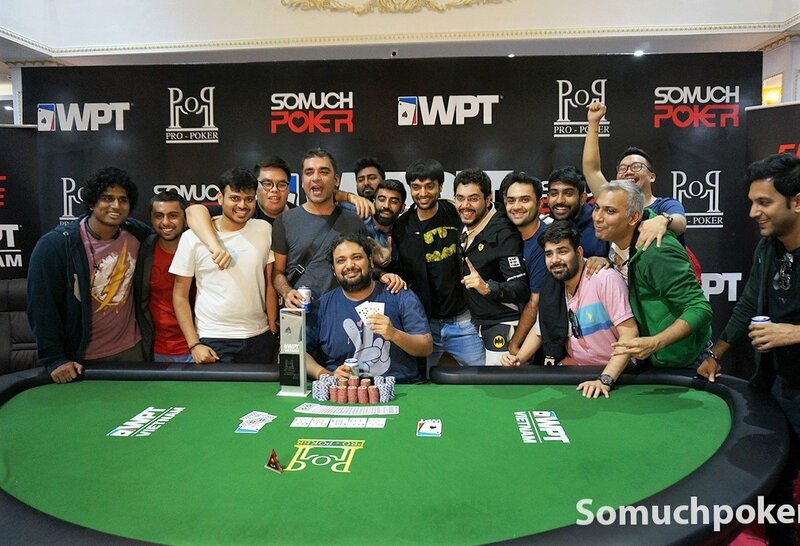 India’s Dhaval “Dirty” Mudgal made World Poker Tour history tonight as the first player to win a WPT Main Event title in Vietnam. 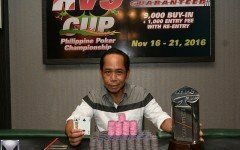 Amidst a crowded rail, Mudgal defeated Japan’s Takao Shimizu at heads up and captured the VND 2,4287,580,000 (US$104,000) first prize. 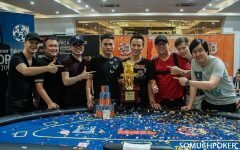 The VND 22M buy-in Main Event ran a total of five days from September 28 to October 2 attracting 679 entries – 528 players, 151 re-entries. 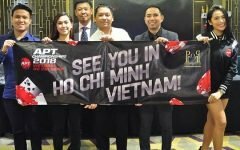 This produced the largest-ever seen live tournament poker prize pool in the country, a record-breaking VND 13,172,600,000 (~US$565,000). Portions of that enormous pot were shaved off at Day 2 starting at 85th place. Entering today’s final race, Dhaval Mudgal was the only player left waving the Indian flag. Impressively, Team India represented well at the WPT Asia Swing with a large contingent turning up for both this leg and the Korea leg. 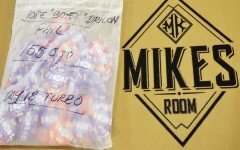 Among the fifteen returnees, Mudgal had the second largest stack which he improved on, entering the official final table of 9 players at the helm. But despite the lead, his race to the title was no easy stroll. It was more of a nerve-wracking rollercoaster ride with near eliminations. After railing Dac Duc Phuong in 9th place, giving him an even larger arsenal to play with, things started to go south. 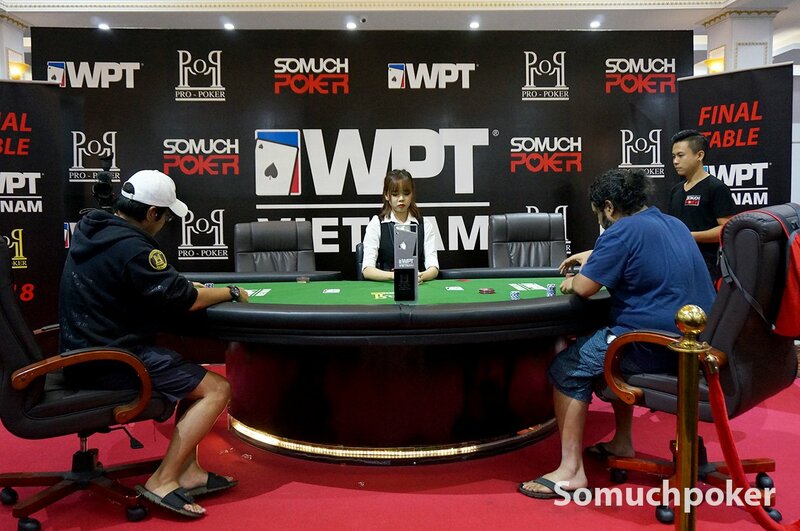 Nguyen Duc Hai (Hai Chuot) shaved off a big chunk on a double up, then Tai Hsing had his hands in it as well. This led to Mudgal becoming short, attempting to steal the blinds and antes with a shove. Shimizu snapped him off with , and when the community board ran a nutty full house this saved Mudgal from the exit. From there, Mudgal gained momentum. 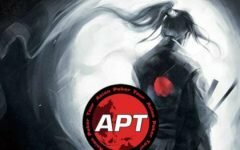 He landed another lucky save on the river to double up through Tai Hsing, then shipped a monster after getting full pay from Hai Chuot for his pocket jacks turned straight. This re-established Mudgal as the leader until Shimizu knocked out the last two Vietnamese contenders, Hai Chuot (5th) and Tran Cao Tam (4th). 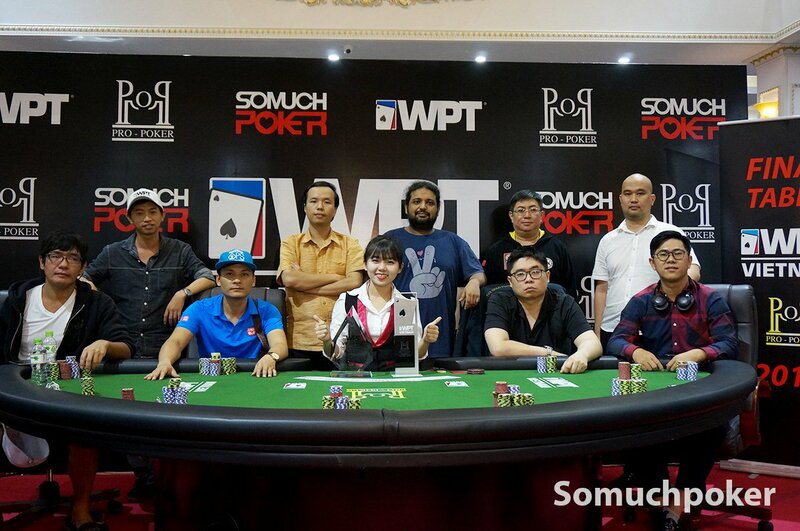 Mudgal proceeded to eliminate Taiwan’s Tai Hsing in 3rd place and entered the heads up round though still dominated in chips by Shimizu. The heads up round didn’t last too long though. Mudgal commanded most of the action, often seen raising or three-betting that the lead switched up due to his successful grinds. Shimizu fought valiantly and was able to regain the lead but Mudgal quickly took it back. The final hand, saw Mudgal push with and Shimizu calling for his tournament life holding . The final board ran to close it with a big victory for India. Congratulations to Dhaval Mudgal! This victory was his first-ever major championship title and his largest-ever live tournament payout to date. You can read up on all the thrilling action in the Live Updates post.